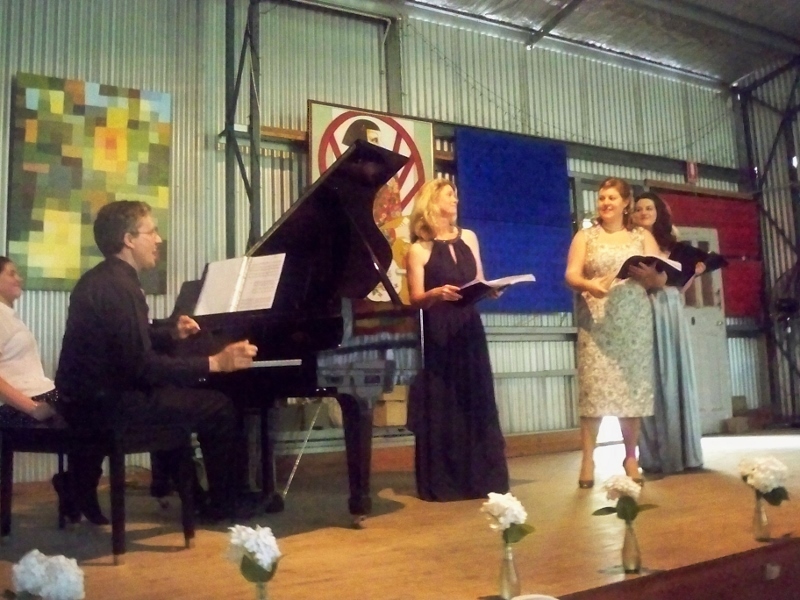 The performers – Alan Hicks, Christina Wilson, Sonia Anfiloff and Emma Blake. 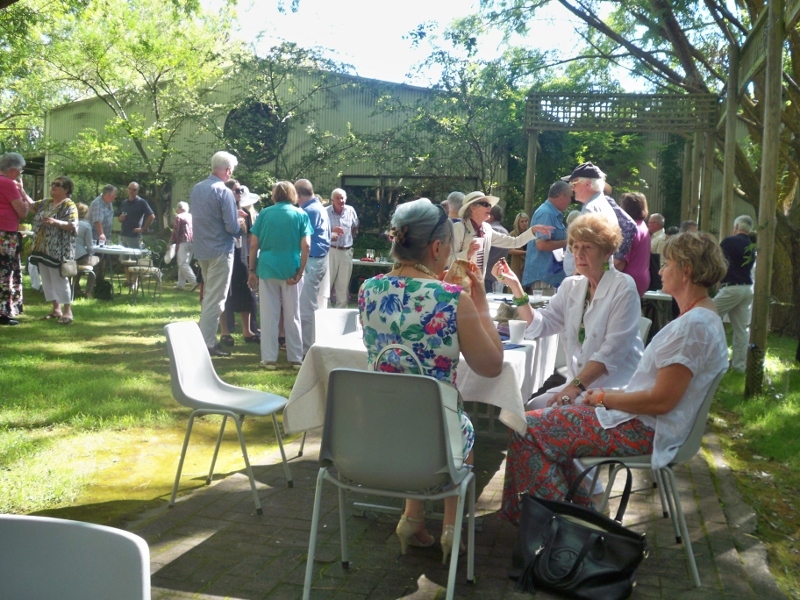 Crisp Galleries Fetes the Yass Music Club. The final concert of the Yass Music Club 2014 series was marked with a very successful performance of works by Richard Strauss together with some brilliantly presented Christmas carols and songs. The program marked the 150th year since the birth of Strauss and also included the music of Hugo Alpen, an ancestor of the Crisps, and featured his The Centennial Grand March. The Alpen Performance Space was filled to capacity with more than a hundred music lovers who heard a number of songs by Strauss, including the wonderful ‘Four Last Songs’ superbly sung by Sonia Anfiloff (Soprano), and also others sung by Christina Wilson (Mezzo-soprano) and Emma Blake (Soprano) with Alan Hicks on the piano providing them with very sympathetic and sensitive accompaniments. The singers also performed the very challenging trio from Act 3 of Der Rosenkavalier and they collectively gave great verve and energy to this dramatic piece. Crisp Galleries make this benefit concert an annual event for the Music Club and it is one of the many worthy causes which the Galleries support in promoting the Arts in the Yass/Canberra region. The grounds of the Galleries looked absolutely beautiful with many patrons taking the opportunity to picnic in the grounds before the concert began. There was a moment of sadness as the audience observed a minute’s silence for the passing of Judy Woods, the wife of one of the Music Club’s present Patrons, Associate Professor Robin Woods. Judy had also had a long association with the Music Club and was much loved by all who knew her. Mention was made of the Music Club’s 2015 concert season which begins on 8th February with ‘The Idea of North’ and details of all our concerts can be found on our website on www.yassmusicclub.com or by ringing Brian on 0262263514. The Yass Music Club wishes everyone a Very Happy Christmas and a Bright and Prosperous New Year and thanks them for their support and looks forward to sharing some fantastic music with them in 2015.